Using Ayurveda, the native science of ancient origin, for the benefit of the modern world is not an easy task. Here, Dr.Meera Mohan stands tall for her exceptional ability in applying the wisdom of Ayurvedic science in a way appreciated by the new world, not letting any drop of its essence losing. Dr. Meera has introduced her own world famous technique of diagnosis, combing the aspects of Nadeepareeksha (appraisal of one’s pulse characteristics) and Prakrutinirnaya (understanding the physical constitution of one’s body). She arrives are precise disease diagnosis without relying on X-rays and scan images, which is a sure inspiration for the current generation. Dr. Meera’s medical expertise is of huge benefit for those suffering from neuromuscular ailments. Hers is the unique way of integrating Ayurveda Marma Therapy and the alternative medicines to cure diseases. Patients with multiple sclerosis and fibro myalgia avail much relief through Dr. Meera’s Pressure Point massage and Fascia releasing techniques. Her unique treatment technique has got subscribers all over the world, particularly from Denmark, Sweden, Canada and Hong Kong. Dr. Meera has obtained vast knowledge in Panchakarma and is one among the few Ayurveda doctors who can fest maximum benefit for patients by applying Panchakarma. Her conviction is that Panchakarma is a mode of treatment that requires clear understanding about each patient’s body constitution also known as Prakruti. 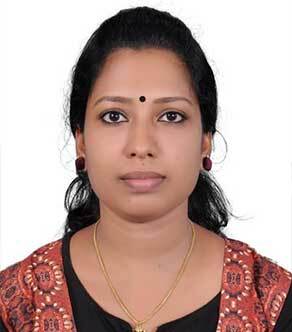 Dr. Meera is not only an Ayurveda expert, but also a globally acclaimed expert of Yoga. Since Yoga is far more than a physical exercise, Dr. Meera personally trains her patients certain aspects of Yoga that can cause lot of benefits to one’s body and mind. She’s hence a Yoga Therapist who can help recover many neuromuscular issues. Has brought back to normal life a large number of people from the crippling experiences of arthritis. Dr. Meera has gifted a new lease of life to many a number of people suffering from osteoporosis, multiple sclerosis, parkinsonism, fibromyalgia etc. She believes that behind all her achievements till date and ongoing endeavors, remain her family as her strength and success.